Home » » What Are These Toys? 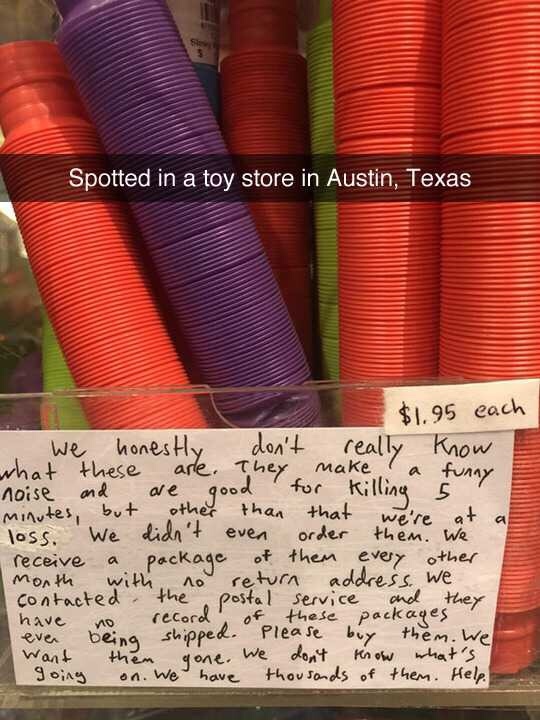 Spotted In a toy store in Austin, Texas - We honesty don't really know what these are. They make a runny noise and are good for killing 5 minutes, but other than that we're at a loss. We didn't even order them. We receive a package of them every other months with no return address. We contacted the postal service and they have no record of these packages even being shipped. Please buy them. We want them gone. We don't know what's going on. We have thousands of them. Help.